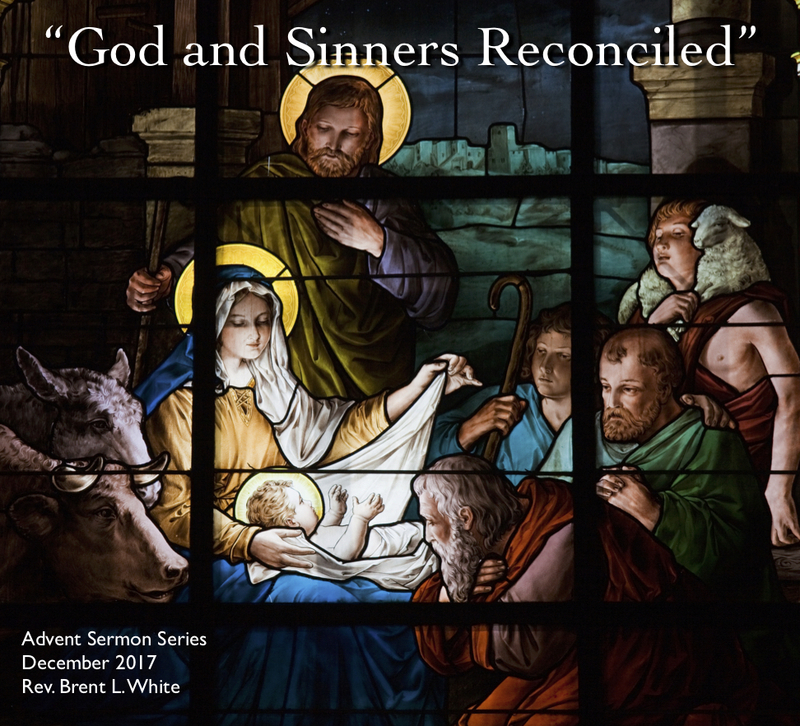 I preached the following sermon on Luke 2:41-52, “My Father’s Business,” on December 30, 2018, at Cannon United Methodist in Snellville, Georgia. In the sermon I voice agreement with commentators who believe that during this Passover festival, Jesus’ heavenly Father revealed to him the means by which he would save the world from sin: the cross. I argue that Passover is a sign that points to Jesus, the “true Passover Lamb.” Finally, I invite the church, whose mission is the same as Jesus, to also “be about my Father’s business” (Luke 2:49 KJV) in 2019. I preached from an outline, so I don’t have a manuscript. But I’ve transcribed a few minutes of the sermon below. It reflects my conviction, about which I’ve blogged recently, that God intends for us to enjoy him, indeed to be happy in him. Radical thought, I know, but for some reason I didn’t discover this truth until the last few years! John Piper’s maxim applies here: “God is most satisfied in us when we are most satisfied in him.” Enjoy! But I promise you I’m not inviting you or me to work harder in 2019. I’m inviting you to enjoy a relationship in 2019! I’m inviting you to receive one blessing after another! I’m inviting you to partake of this abundant life that our Lord Jesus freely makes available to you! I’m inviting you to drink of that living water that springs up within us to eternal life! I’m inviting you to find your heart’s deepest satisfaction in Jesus the Bread of Life—he makes that available to us. I’m inviting you to enjoy life in 2019 more than you’ve ever enjoyed it before! But here’s the difficult and somewhat uncomfortable truth: We don’t know how to do that… we don’t know how to enjoy life. We usually make ourselves miserable in the attempt. But you know who does? Our Lord Jesus! He wants us to enjoy life… by glorifying him… by loving him. It sounds like work but it’s not. One pastor says that living a Christian life is not a “help wanted sign.” Rather, living a Christian life is a “help offered” sign. Our Lord wants to give us an abundant life; he wants to give us a better life. It’s just that the only way to receive it is by being about our Father’s business. And we know from scripture that that does not imply an easy life. In fact it was very difficult for Joseph and Mary in today’s scripture—wouldn’t you say? Only Piper, perhaps, had the audacity to give this biblical truth a name—an intentionally provocative one at that—but it’s not like I haven’t read or heard about the concept in the work of others. For instance, on PZ’s Podcast, whenever my hero Paul Zahl compares God’s love to the songs by Journey (“the greatest rock band”), he’s really talking about Christian hedonism. We ought to find our greatest joy in Jesus Christ. Did you hear that, Brent? You ought to find the greatest joy in Jesus Christ. Being a Christian is supposed to make you happy. Full stop. For as long as God gives you life in this world, he intends for you to be fully satisfied in him. And then get heaven when you die! But, but, but… This sounds like self-interest. Yes, it does. Because it is. And that’s O.K. Many Samaritans from that town believed in him because of the woman’s testimony, “He told me all that I ever did.” So when the Samaritans came to him, they asked him to stay with them, and he stayed there two days. And many more believed because of his word. They said to the woman, “It is no longer because of what you said that we believe, for we have heard for ourselves, and we know that this is indeed the Savior of the world” (John 4:29-30, 39-42). What motivates her to serve Jesus in this way—if “serve” is even the right word? (Note by contrast our reluctance to speak a word of witness about our faith!) It is nothing other than joy, which results from her having found in Christ a “spring of water welling up to eternal life,” such that she will “never be thirsty again” (John 4:14). To say the least, her joy—her happiness, her satisfaction in Christ—comes first. Before she “left her water jar and went away into town” (John 4:28), she experienced joy. We present-day Christians often get it backwards. The message we often hear from pulpits and best-selling Christian authors is, in so many words, first, “leave your water jar and go into town” and then you’ll find your happiness. Or worse: Maybe you won’t find happiness at all, but that’s tough. Living the Christian life is about gritting your teeth and getting to work. This is why “serving” Jesus should not be the primary metaphor for the good work we do for Jesus. Before anything else, as Piper likes to say, the gospel is not a “help wanted” sign; it’s a “help available” sign. And everyone needs that help at all times. I often hear Christians say that they’re “blessed to be a blessing,” and I might agree with the sentiment, depending on what they mean. Do they mean, “God fills me first with such joy and satisfaction in his Son Jesus that it’s my pleasure to go out and bless others. Indeed, when I do bless others, I experience even more of Jesus, so that makes me even happier”? In which case I agree! Or do they mean, “God has equipped me with these blessings in life—like money, health, and time—as a means to an end: in order to give myself away in service to others, such that pursuing my own personal happiness in life is misguided, sinful, and selfish.” If that’s what they mean by “blessed to be a blessing,” I can’t agree. Because in my experience, “being a blessing” in this way—as an end in itself—can never fill up my tank. I don’t want to do “service” in that way. Besides, when I do, I’ll only be filled with resentment. Don’t get me wrong: I can “white-knuckle” my way through service to Jesus with the best of them; I can fake people out; but Jesus, as always, sees my heart. I’m never faking him out. And there is! Whatever good work I do, I do because it makes me happy. Because Jesus makes me happy. Because drinking from his living water and eating from his “bread of life” satisfies my deepest longing. He intends for it to do so. Let’s imagine that this “food” to which Jesus refers is food that he wants to eat. It’s steak, in other words—not broccoli or Brussels sprouts. Is Jesus not helping himself (because who doesn’t want steak when you’re hungry) as he is also, at the same time, accomplishing God’s will? Imagine being so happy in our heavenly Father—so nourished spiritually—that you can be completely satisfied in God even with a growling stomach! Jesus reminded us earlier that “man doesn’t live by bread alone”; here he lives it out. But now I will not deal with the remnant of this people as in the former days, declares the Lord of hosts. For there shall be a sowing of peace. The vine shall give its fruit, and the ground shall give its produce, and the heavens shall give their dew. And I will cause the remnant of this people to possess all these things. And as you have been a byword of cursing among the nations, O house of Judah and house of Israel, so will I save you, and you shall be a blessing. Fear not, but let your hands be strong (Zechariah 8:11-13). “You shall be a blessing,” he writes, by which he’s referring to the blessing of salvation for the world that God promised to Abraham in Genesis 12:2-3. God’s people Israel, he says, will now resume their role in the mission for which God created this nation in the first place: to bear witness to God and point to the forgiveness of sin that’s available through Israel’s Messiah Jesus. We are continuing this mission as the church—the Great Commission—although we do so now with the full revelation of God’s Son and his gospel. However these blessings from God manifest themselves in our lives today—as God’s people today—they are the wellspring from which mission flows. This was certainly true of the Samaritan woman at the well; surely it’s true for us! Our “blessing” of others—our mission to others—springs from a heart that finds its ultimate satisfaction in Jesus. We are blessed… then we bless others. The blessing comes first. If we try to reverse the order, we will find that living a Christian life is exhausting. 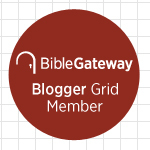 In this podcast, I talk about, among other things, Billy Graham. What we admired most about Graham was not his ability to fill stadiums, to convert thousands in one fell swoop, and to be a chaplain to presidents and royalty. No—what we admired most was his integrity… his character. In Graham, what you saw was what you got: a man who sincerely loved the Lord, who trusted in his Word, and who wanted everyone else in the world to do the same. Does this describe us? If not, why not? Do we doubt that God has a plan for our lives? Do we doubt that we have the same Holy Spirit working through us that Graham had? Hi, This is Brent White! It’s Friday, March 2, and this is podcast number 18. You’re listening to the band Blondie and their 1979 hit “Dreaming,” from their album Eat to the Beat. I’m playing this song because today’s scripture, Genesis 28:10-22, is all about dreaming—specifically, a dream that Jacob had when he was on the run from his murderous brother, Esau. He was on the run from him he tricked Esau out of his inheritance and, a little later, his father’s blessing. So Esau is understandably angry. He vows to kill Jacob as soon as his father dies and the period of grieving is over. Rebecca learns of Esau’s intentions and sends Jacob, her favorite son, to live with her brother Laban, in whom—as you’ll see if you read the next several chapters—Jacob fully meets his match, at least in terms of cheating and deceiving. What a family! You’ve got to admire the way the Bible tells the unvarnished truth about its heroes! One of the most important questions we face as Christians is this: Do we believe that our heavenly Father will take care of us? Jesus promises that he will, for example, in Matthew 6:25-34. But Jesus and the New Testament writers warn us that we’ll face sickness, violence, suffering, and death. How is that taking care of us? This podcast episode explores these questions. Hi, this is Brent White. 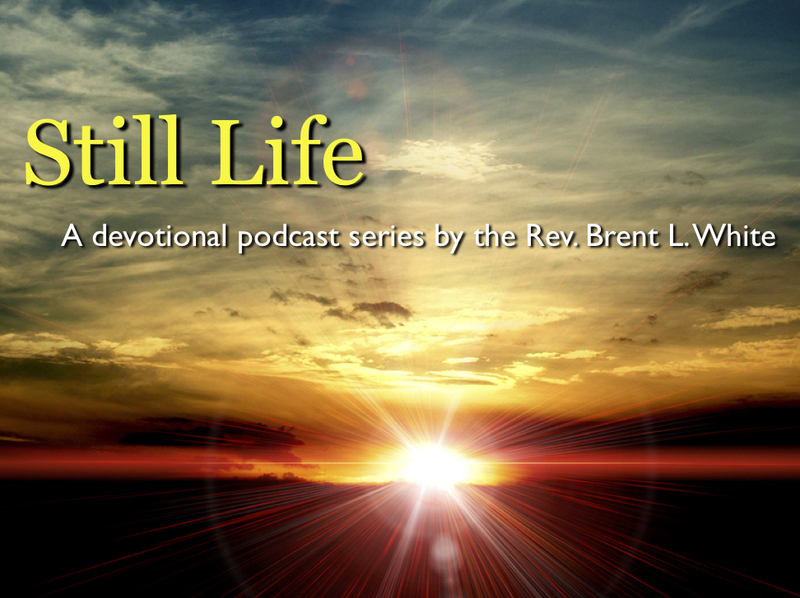 It’s Thursday, February 22, and this is Devotional Podcast number 16. It’s a long one, so stick with me. You’re listening to the Beach Boys song “Good Vibrations,” which I recorded from their 1967 album Smiley Smile—the album the band released in place of their unfinished masterpiece Smile. This album, a hastily assembled consolation prize, is actually quite charming in its own right. Anyway, in addition to being a #1 hit for the band, this song was also the most expensive pop single ever recorded! Brian Wilson worked on it for months! Last week, after another national tragedy, many people—apparently—urged us to send out our “thoughts and prayers” for the victims and their families. And I get it: When someone asks for thoughts and prayers—or says that they’re sending out thoughts and prayers—it often sounds glib and empty. And believe me, I also get that the subtext of these complaints is as much about politics as theology. These critics are talking more about what politicians have or haven’t done than they are about God. I know that. But they’re talking enough about God to bother me a little. Which is why I’m talking about it. Let me begin by agreeing, in part, with these critics: from a Christian point of view, no amount of positive thinking, or sympathetic thinking, or compassionate thinking—by itself—can accomplish anything. God doesn’t respond to “good vibrations”; he responds to prayer! Or… doesn’t he? For those of us who are his children—who have been adopted into his family through faith in his Son and for whom God is our Father—can we trust our Father to take care of us? Those are important questions, and I’ve blogged a lot about them over the years. But today I’m talking to those of us who already believe in the God revealed in the Christian scriptures—I’m talking to my people, to fellow Christians: Do we believe that our heavenly Father will take care of us? Do we believe that he’ll supply all of our needs… so that we can be truly happy… so that we can know true joy? Listen to what Jesus says in the Sermon on the Mount, from Matthew 6:25-34. I’ll read an excerpt. Therefore I tell you, do not be anxious about your life, what you will eat or what you will drink, nor about your body, what you will put on. Is not life more than food, and the body more than clothing?… Therefore do not be anxious, saying, ‘What shall we eat?’ or ‘What shall we drink?’ or ‘What shall we wear?’ For the Gentiles seek after all these things, and your heavenly Father knows that you need them all. But seek first the kingdom of God and his righteousness, and all these things will be added to you. If there’s any scripture that promises that God will take care of his children, surely it’s this one. Is is true? Is Jesus telling the truth? Especially in light of some words of the apostle Paul in Romans 8:35-39. There, before promising that nothing—no amount of suffering can separate us from the love of God—he says that he and his fellow apostles have experienced and are experiencing tribulation, distress, persecution, danger, sword, famine, and nakedness. Notice famine and nakedness. But didn’t Jesus say that our Father will provide us with food and clothing? So which is it? Will Christians suffer “famine and nakedness” or will our Father “supply all things”? What, then, does Jesus mean, “All these things—all your food and clothing—will be added to you when you seek the kingdom of God first”? He means the same thing he meant when he said, “Some of you they will put to death… But not a hair of your head will perish” (Luke 21:16-18). He meant that you will have everything you need to do his will an be eternally and supremely happy in him. How much food and clothing are necessary? Necessary for what? we must ask. Necessary to be comfortable? No, Jesus did not promise comfort. Necessary to avoid shame? No, Jesus called us to bear shame for his name with joy. Necessary to stay alive? No, he did not promise to spare us death—of any kind. Persecution and plague consume the saints. Christians die on the scaffold, and Christians die of disease. [And editor’s note here: Christians die from rounds fired from an AR-15. Piper continues:] That’s why Paul wrote, “We ourselves, who have the firstfruits of the Spirit, groan inwardly as we wait eagerly for adoption as sons, the redemption of our bodies” (Romans 8:23). So… we’ll get enough of what we need to do his will—no matter what his will is for us; no matter how painful or scary his will for us might be. The question is, Do we want to do his will—above all else? Do we believe, along with the Westminster catechism, that our “chief end” is to “glorify God and enjoy him forever”? 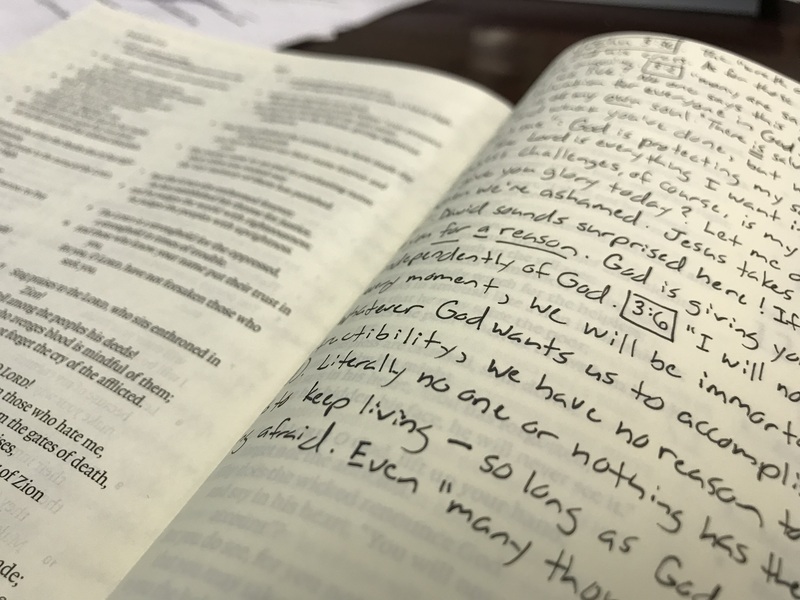 Do we want what God wants for us? Or do we want something else? Let me speak for myself: I am someone who has always had ambition—and I’m not talking here about, you know, godly ambition—the desire to share the gospel with millions. I’m speaking about career ambition. Even though it has not served me well; even though it has taken a toll on me; it has always been part of me. Long before I went into ministry I have been an ambitious person. I want people to notice my good work, to appreciate me… to love me, not so much for who I am but what I achieve. This sin is deeply embedded within me! Back in the late-’90s I was nearly finished getting my electrical engineering degree from Georgia Tech. This was my second degree from there—for a second career. (So yes, pastoral ministry was my third career.) Anyway, I had a friend—I’ll call him Andrew—who graduated from Tech with a different degree many years earlier. He went on to get a law degree from Emory and became a consultant with a large consultant. And from my perspective he was… well, he was the kind of success that I wanted to be. Not that I wanted to be him, exactly—his job seemed deadly dull—but if I could achieve his level of success in my career—well, then I would know that I had arrived. I would know I was somebody. I would stop this anxious striving and be content. If I could just be like Andrew! Jealous of me! What on earth is there to be jealous of? From my perspective, my friend had everything! If you can have everything and still feel jealousy or resentment, what’s the good of having everything? Which goes to show how badly distorted our self-image often is! So this is what it comes down to: If worldly success is your goal, you’re never get enough of it to be happy. If any worldly thing is your goal, you’ll never get enough of it! You bottom out, he said. It’s certainly true for me! I have bottomed out—many times. God has allowed or caused me to bottom out. He’s very good at that! I think he does it so that that I can learn this one thing: I will never get what I want until I learn to want what God wants for me. Let me repeat: I will never get what I want until I learn to want what God wants for me. None of us will. Lord, please… help me to learn this truth. Amen. 1. 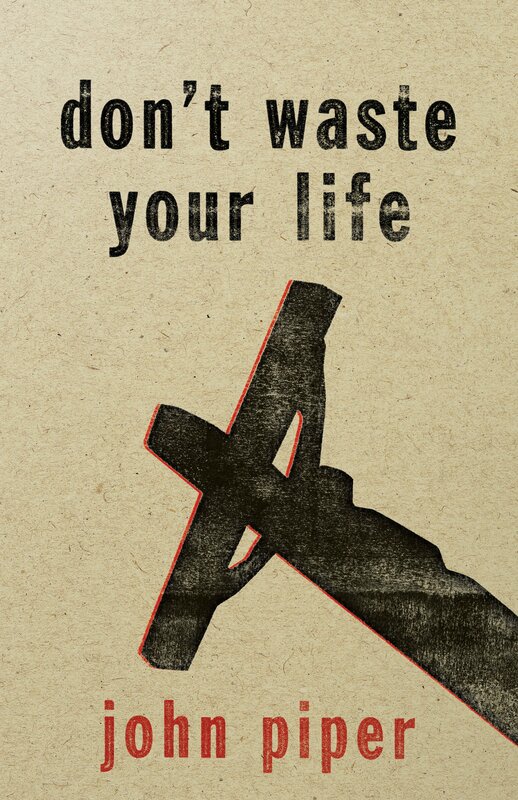 John Piper, Don’t Waste Your Life (Wheaton, IL: Crossway, 2009), 94. In this sermon, for the Second Sunday in Advent, I contrast Mary’s response to Gabriel with Zechariah’s response. When it comes to treasuring God and his Word, are we more like Mary or Zechariah? Recall last week that after Gabriel tells Zechariah that he and his wife, Elizabeth, are going to have a child, Zechariah asks, “How shall I know this? For I am an old man, and my wife is advanced in years.” He doubts Gabriel’s message. And what happens next? The angel zaps him! He makes him mute—and as we can infer from verse 62 later in the chapter, deaf as well. For the next nine months, until his son is born, Zechariah is unable to hear or speak. Of course, Gabriel is only acting on God’s behalf. So it’s not that the angel did it so much as God did it. God punished or disciplined Zechariah. Just last week, in the New York Times, Billy Bush wrote a personal essay about his experience being fired by NBC News this time last year. If you don’t know what I’m talking about, you can google Billy Bush. I’m not getting into it! All you need to know is that Bush—a member of the political dynasty—was a rising star at NBC News before he got in trouble. And he got fired. On a personal note, this last year has been an odyssey, the likes of which I hope to never face again: anger, anxiety, betrayal, humiliation, many selfish but, I hope, understandable emotions. But these have given way to light, both spiritual and intellectual. It’s been fortifying. I know that I don’t need the accouterments of fame to know God and be happy. After everything over the last year, I think I’m a better man and father to my three teenage daughters—far from perfect, but better. As a fellow sinner saved by God’s grace alone, I can only say a hearty “Amen.” What I hear in Bush’s words, first, is an acknowledgment of the destructive, insidious power of sin—but in the same breath I hear the grace of repentance and the mercy of God’s discipline. Hi, this is Brent White. It’s December 21, 2017, and this is Day 19 of my series of Advent podcasts. You’re listening to the band Jethro Tull, and a song they wrote and recorded about—well… this very day: December 21, the winter solstice. This song, “Ring Out, Solstice Bells,” comes from the band’s 1977 album Songs from the Wood. Do you remember that scene in Back to the Future when Doc Brown is introducing Marty McFly, Michael J. Fox’s character, to the wonders of his time-traveling DeLorean? Brown shows McFly an LED-based instrument built into the car’s dashboard and explains that you simply enter any date in the past that you want to travel back to and—voila!—that’s where you’ll end up. And at this point, many people in the audience groaned. For two reasons. First, there wasn’t a year “0.” According to the calendar that the church created, which divides history between the time before Christ and the time after Christ was born, the calendar changed from 1 B.C. to A.D. 1. And the second reason some people watching Back to the Future groaned is because Jesus wasn’t born on December 25—or I should say, there’s about a 1 in 365 chance that he was born on December 25! If you’ll recall a podcast I did last week, my amateur astronomer friend believed that Jesus was born some time in April. But the Church chose the date of December 25 to celebrate Christ’s birth for an important reason: Under the old Julian calendar, it marked the winter solstice, the so-called “longest night of the year”—or, put the other way, the day with the least amount of sunlight. Just think: for the next six months, each day will be marked by progressively more daylight. And in ancient times long before the birth of Christ, people attached religious significance to this day—thanking their god or gods that the solstice marked the “end of gloom and darkness and the victory of the sun and the light over the darkness.” Because of this pagan association with the solstice, even some Christians today have misgivings about celebrating Christmas. I wrote the following for my church’s weekly electronic newsletter. 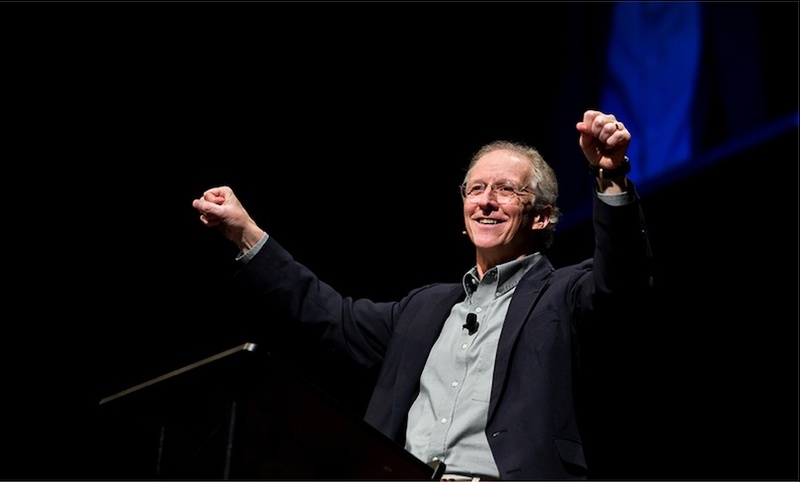 This insight comes from John Piper, Don’t Waste Your Life (Wheaton, IL: Crossway, 2009), 51-54. [D]o you presume on the riches of his kindness and forbearance and patience, not knowing that God’s kindness is meant to lead you to repentance? But because of your hard and impenitent heart you are storing up wrath for yourself on the day of wrath when God’s righteous judgment will be revealed. One of the things that we’ll be celebrating on Thanksgiving next week is what Paul calls the “riches of [God’s] kindness.” But consider Paul’s words above: We are living right now in a season of mercy, the purpose of which is to lead us to repentance. Paul’s point is something like this: God gives us one amazing gift after another–our lives, our families, our friends, our health, our possessions. And God does so in spite of the fact that we’re sinners who, according to God’s Word, deserve only death, judgment, and hell. When we consider how kind and merciful God is to us, our hearts should melt. As a result, we should repent and be saved. But notice what happens if we don’t repent: We are “presuming on” God’s riches and “storing up wrath” for ourselves on Judgment Day. The only thing that saves us from this wrath is the blood of God’s Son Jesus. Therefore, those of us who are Christians ought to remind ourselves that every gift that God gives us is paid for by the precious blood of Jesus Christ on the cross. The gift of my wife or husband is paid for by the blood of Jesus. The gift of my children is paid for by the blood of Jesus. The gift of this warm, safe home is paid for by the blood of Jesus. The gift of this delicious meal is paid for by the blood of Jesus. The gifts of love, laughter, and friendship are paid for by the blood of Jesus. Remind yourself of this truth next Thursday. Let it melt your heart. And be thankful!